Have in mind the walls, the floors, the ceiling, the equipment and much more depending on what you will need to have in your space. Have you selected a design as per your budget? Put together and beautifully match your kitchen designs and decors can be put together and beautifully matched to produce the result you want. This is good news and very exciting thing. In case, you are wondering about the desire to use more than in the same space. We got you covered; you can put one or two together and make what you need. You will achieve your purpose and desire for that upgrade. This is one of the simplest ways to enhance the appearance of our room. You can change the existing color for the cabinets and working tops. You can check on the color of your accessories like bar stools, vases or cookware. 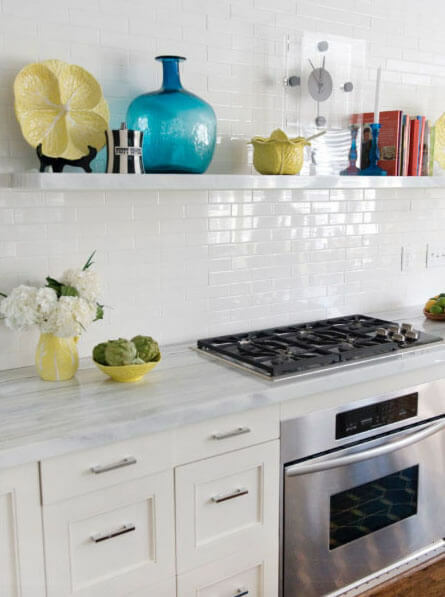 Pick something that you will notice first every time you step into your kitchen. Maybe it is hanging on that front wall. 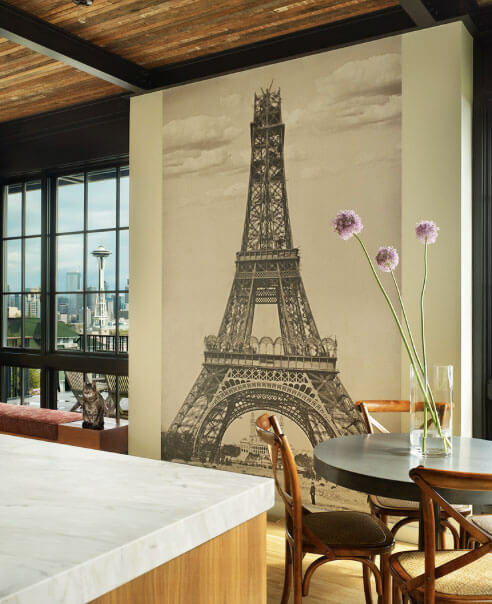 You can choose to paint the focal wall to what you love, or add some texture. If you have love for the latest, fashion and colors for the open shelves add many of them. Fix the shelves on the focal wall. 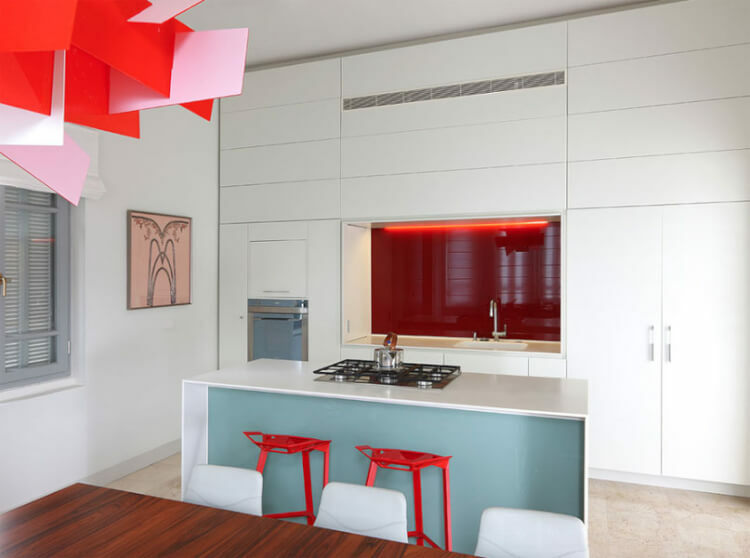 This brightens the kitchen and makes it more visible though you will need to hide some of the poorly designed cabinets. 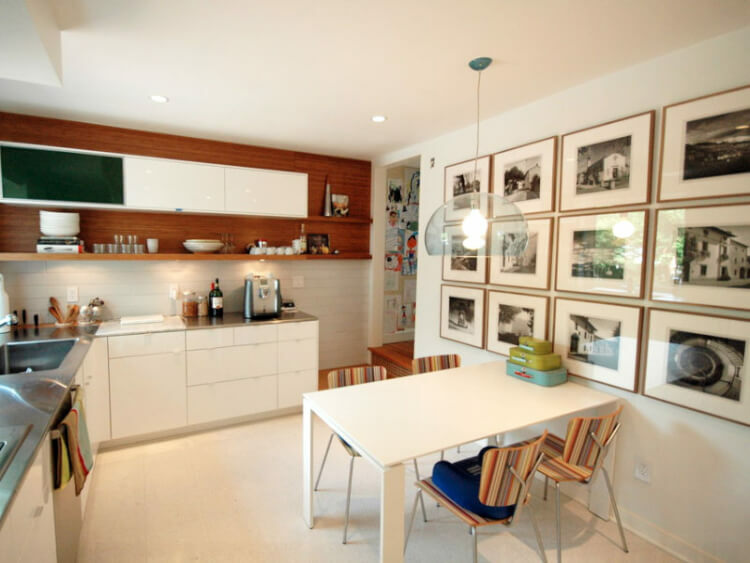 In addition, place floating shelves in any open wall. Floating shelves are of various kinds and installing is fast and very simple. If that is not enough, remove some upper cabinets’ doors and paint it as desired. This has added a new open display shelf. You can install some light to show the items well . Give that you unique look with a picture gallery. You can pick wall collections from well known designers and magazines because. They are not boring but if your wall is, then it is the time to make it intesting. You can fix nail holes on the wall, arrange the collection on the floor and hang as desired. Give a better space and do not clutter. 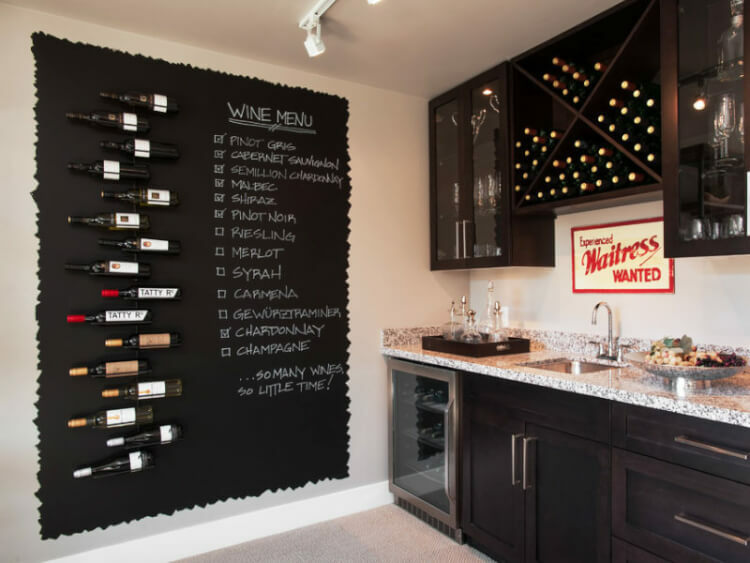 If you have some unused wall space, a door or cabinet surface is another great chalkboard in the making. It is quite simple and very cheap. Using the wall that already is available and decorating it makes thing easier. Select an island of your choice, utilize the focal wall, add the various wallpapers from the magazines and also do no forget color. These are common places and where to begin. Keep the colors as warm as possible. You can try black for the chalkboard. The paint is affordable and available. You can do this by yourself. Most times, we tend to place our efforts on upgrading our other rooms. We forget about what our guests see about our homes. The truth is where they spend most of their time while visiting is enough to make them know about you. This place is the kitchen. So take an effort to decorate it. Keep the color the most appealing and welcoming. Get here by working on your wall colors and decorations. Do not let that boring wall stare at you for long. Worse is having the most updated paint. It is time to make that change. You will achieve this when you get a good plan and work everything as per the budget you set.